FOR IMMEDIATE RELEASE: Portland, Maine (March 19, 2019) – New England Fights (NEF) will present its next mixed-martial-arts (MMA) event, “NEF 38: STORMBORN,” on April 27, 2019 at Aura in Portland. Earlier today, the fight promotion announced the addition of a professional bantamweight bout to the card. Fred Lear is scheduled to face Bryant Bullock at a fight weight of 135-pounds. The bout will be the professional debut for Lear who amassed an impressive amateur record of 6-2-1 over a six-year run from 2013 to 2019. All but one of Lear’s nine amateur bouts took place in the NEF cage. The pinnacle of his amateur career came in August 2017 when he captured the amateur bantamweight championship in front of his hometown family, friends, and Young’s MMA teammates in Bangor, Maine. 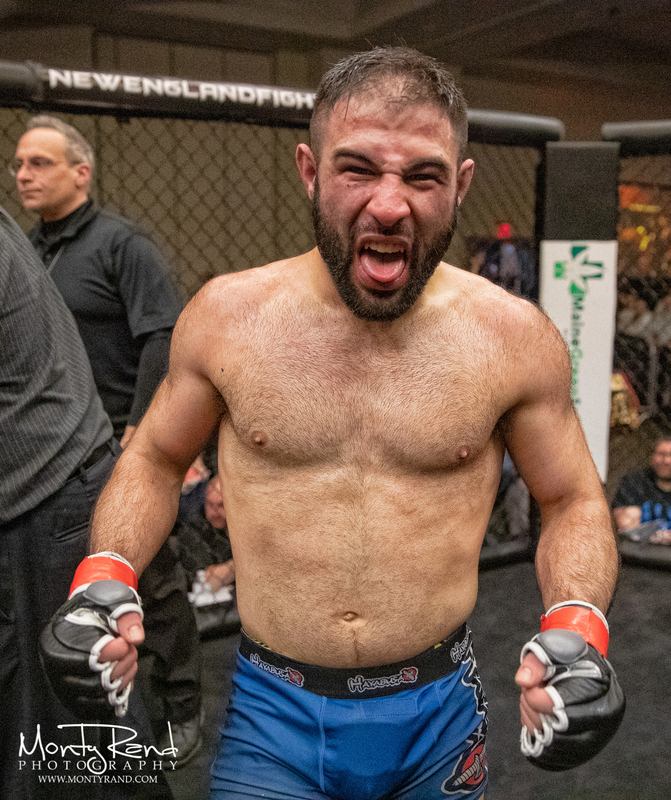 Last month, Lear battled Zac Richard for the vacant NEF Amateur Featherweight Title at “NEF 37.” The fight, which went to a five-round draw, has been hailed as an early candidate for “Fight of the Year” in New England. And while Lear did not capture his second NEF amateur strap that night, the highly-competitive matchup was the perfect exclamation point to an amateur career filled with memorable moments and finishes. Lear’s opponent in his professional debut will be Bryant Bullock of Hayastan MMA based in North Carolina. Bullock won his professional debut last fall. Like Lear, Bullock had an extensive amateur career spanning six years and a dozen fights. He put together a record of 7-5 and, also like Lear, captured a regional amateur title on his journey to the pro ranks.